Why isn't the next button appearing at the end of a module? When the Next navigation button doesn't appear on the last page of a module, it's highly likely that your course is set to "self-paced." 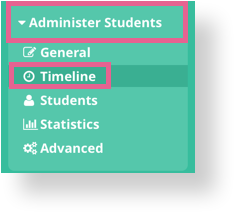 When a course is "self-paced," the Next button will only appear once the student has completed all activities and requirements for the current module. Under the class name, click on the grey box to the left. Right now, it probably reads "self-paced"
In the drop-down menu, select "Open MOOC"
Now students will be free to access all parts of your course at any time. However, they will still need to finish activities and meet completion requirements in order to achieve 100% in your course.